In 1898 Charles Pathé engaged 'for a few weeks' a young man who 'was playing the cornet at the Foire au Pain d'épices'. The few weeks were to last almost twenty years. The young man was Ferdinand Zecca. He was the second son of the concierge of the Théâtre de l'Ambigu in Paris, and was making his living as a café entertainer. In 1899, Zecca and another artist, Charlus, were performing a musical fantasia entitled Le Muet mélomane. At the request of Dufayel, owner of the Grands Magasins Dufayel, they acted the piece before a camera. In April 1900, at the Paris Exposition Universelle, Charles Pathé, in a hurry to instal the pavilion allocated to him, gave the job to Zecca. He managed it so well that Pathé appointed him as assistant to the director at his Vincennes factory. From then on until 1906, Zecca himself directed or supervised several hundred Pathé films. The first of these are obvious copies or plagiarisms of English films, for example La loupe de grand-mère or Rêve et réalité, both from 1901, to cite only two. But Zecca was soon creating his own films. A la conquête de l'air (1901) showed a strange machine, called Fend-l'air, flying over the rooftops of Belleville. Above all, one of the first dramas, L'Histoire d'un crime (1901) was stylistically innovative in its use of superimposition. 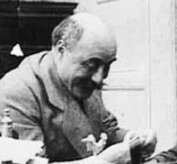 Alone or with Lucien Nonguet, in 1901 Zecca began to make fairy tales (féeries). 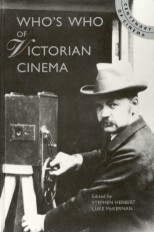 With the indefatigable Zecca in charge, dozens of films were produced at Vincennes. These were not only comedies, trick films or fairy tales, such as Les Sept châteaux du Diable, both 1901, and La Belle au bois dormant in 1902, but also social dramas like Les Victimes de l'alcoolisme (1902), Au pays noir (1905) and reconstructed actualities, the most famous being La Catastrophe de la Martinique (1902). He also acted in many of his trick films. At the end of 1906, Zecca, assisted by the Spaniard Segundo de Chomón's photography and special effects, started filming in colour a second Vie et Passion de N.S. Jésus Christ, in four parts and 38 scenes, 990 metres long, which he finished in 1907. This was probably his last work as director. From then on he devoted himself exclusively to production and, eventually, to administration. In 1915, he left for the United States to run the new company Pathé Exchange and in 1923, he became head of the world famous Pathé Baby subsidiary.